Social recruiting uses social media channels to source talent. Recruiters use platforms like LinkedIn, Facebook, Twitter, and Snapchat to attract, identify, and engage potential candidates. You’re probably on Facebook and LinkedIn. Maybe you’ve even established a professional Instagram account. But what exactly is social media, beyond sharing cat videos and liking your dad’s food pics? What can it do for your professional pursuits? Lesson 7 of What is Social, given Coursera from Northwestern University ,shows you in four and a half minutes how social media is a communication revolution. 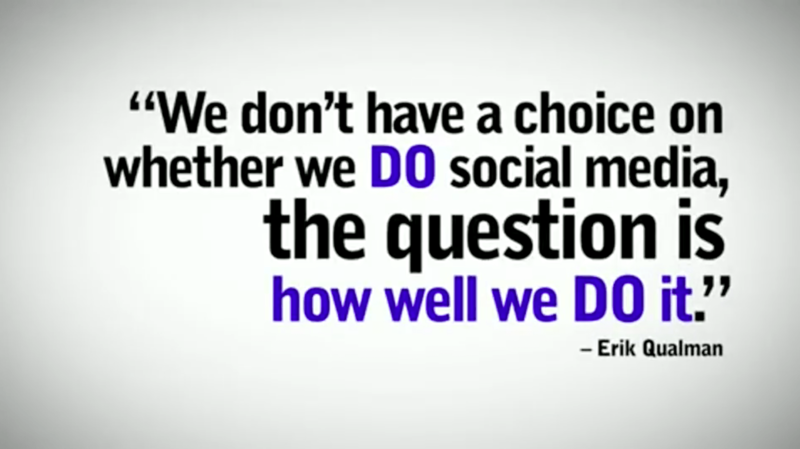 It’s a powerful argument about social media’s ongoing impact on how we socialize and do business. Facebook has more than 1.5 billion active monthly users — chances are you, your mom, and your candidates are scrolling their feeds right now. Facebook allows us to build and nurture relationships. It’s also a huge database. 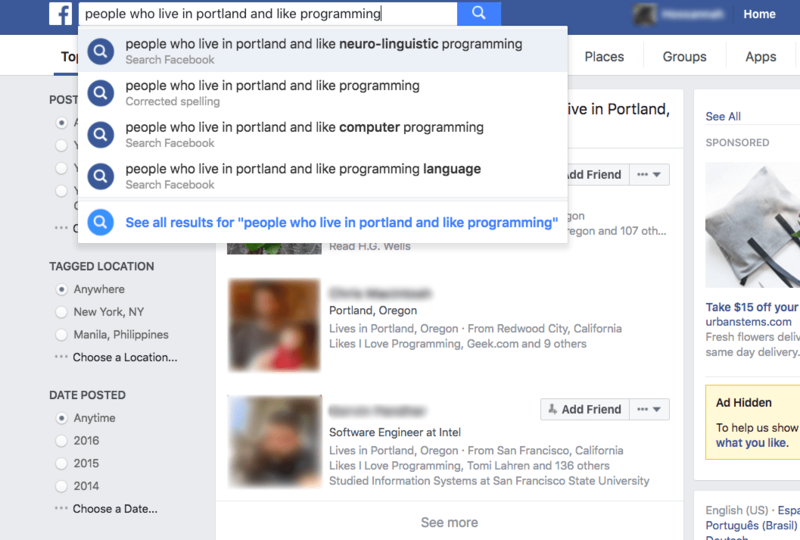 Facebook’s Graph Search feature is a recruiter’s best friend on the site and can help generate candidate leads. This video shows you how you can search Facebook for candidates using key search terms that navigate you to star talent. Mediabistro’s Facebook Marketing online offering gives pros like you a crash course on best practices and content generation. You’ll learn how to make “perfect posts,” produce video content, and measure content performance. Twitter is about conversations. But, just as it is at a party or professional gathering, it can be difficult to get a good one going. Undercover Recruiter has a useful infographic summarizing Twitter’s power as an affordable recruiting tool. It offers a handful of tips to activate your presence on the social media site. MediaBistro’s Twitter Analytics shows you how to become Twitter friends with influencers and candidates. You’ll learn how to step up your tweeting game through metrics. LinkedIn is the business casual party to Twitter’s Saturday soiree. It’s the best social channel to use for professional networking. If you’re just getting started on LinkedIn, this video discusses best practices for using the site to acquire talent. LinkedIn Recruiter is for black-belt level recruiting. Up and Running with LinkedIn Recruiter will teach you the ins and outs, tutoring you on how to find and manage the best talent using this primo tool. Instagram is visually driven. It’s where your friends, candidates, and clients park their food and vacation pics. But it’s also a place to drive home your recruiting message visually. The following video shows you how you can grow your connections on Instagram organically. It’s as simple as saying hi to influencers and potential candidates. Hint: find them through #hashtags! How to Use Instagram for Business is one of Udemy’s bestsellers. The lessons review how to produce content for Instagram, grow your audience, and how to measure the progress of your efforts. Snapchat is the youngest of the social media platforms on this list and it’s definitely driven by Millennials. Users share images and videos, available to view for just 24 hours. Companies like GrubHub and JP Morgan Chase have used it to recruit Gen Y talent. Businesses can use Snapchat’s Geofilter to attract attention in specific locations. Recruiters like you can use the Geofilter for your next candidate party. The video below is a little longer than the other Quick Tips, but it details how to prepare your first Geofilter. Snapchat can be a little confusing to navigate. Udemy’s Snapchat Marketing: Grow Your Brand & Reach More Followers can assist your Snapchat recruiting. There you have it — how to become a great social recruiter whether you have a couple of hours or a few weeks. Looking to learn more? Check out 7 trends in social recruiting.